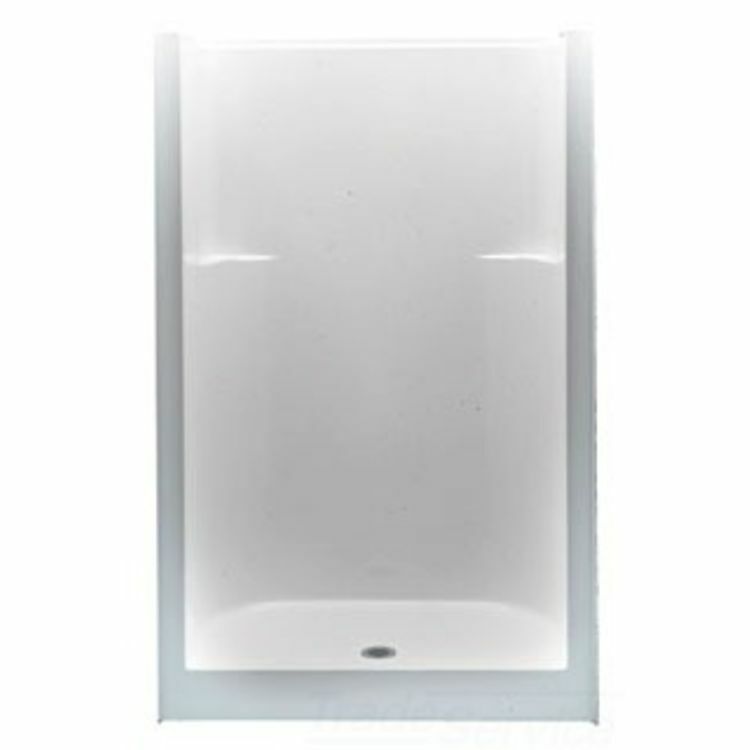 Aquatic Bath 1483CST-BI Biscuit Center Drain 48"x34"x76" Smooth Wall Shower. "Thinking Outside the Tub", Aquatic's motto and inspired designs set the benchmark for the industry nationwide. Aquatic has a large line of products that range from jetted bathtubs with soothing water streams to sectional showers with accessible and safe features for users. They aim to bring the best to commercial and residential applications nationwide. This Aquatic Bath 1483CST-BI Biscuit Center Drain 48"x34"x76" Smooth Wall Shower is designed with beauty, durability and easy maintenance as the end product. This Biscuit Shower brings the preferred features from all kinds of showers and combines them into a practical, everyday product. This Shower features a high-quality Gelcoat surface, molded toiletry shelves, and textured base for added safety. This Shower is backed by Aquatics 5-year limited warranty. Shipping Dimensions 34.0" x 48.0" x 76.0"
Dimensions: 48" x 33 1/2" x 76"